Arrange for Your Iridology Reading! 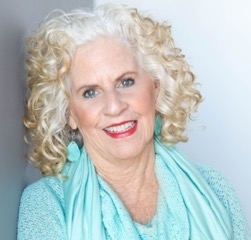 Sunshine Beeson has been practicing and consulting Iridology, Nutrition and Wholistic Health since 1982. If you are located anywhere near the North East and want to arrange for an iridology reading at my office, please contact me directly (below). At our session you will be provided with professional images of your eyes, along with a helpful checklist of items of the determining factors we’ll discover with your iridology reading. Iridology is the study of the color, pigmentation and structure of the iris, or the colored portion of the eye. “Sunshine provides a warm, safe place in which she expertly delves into your health and emotional well-being. She often knows what I’m thinking before I do! 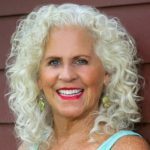 And then teaches me how to navigate through those thoughts toward health and freedom.“… Abby J.
I have always, throughout my whole life, been interested in peoples’ health and well-being. I would say that I was mentored by my father, he was a Jack LaLanne kind of guy. And before things were very popular to be healthy and juicing, he was that way and I really took after that lifestyle. I started getting into health and nutrition when I was eighteen years old, and that was quite a long time ago. I got into the Iridology field system in 1982. I was introduced to Dr. Bernard Jensen, who is one of the leading Iridologists in his day and he was my first Iridology teacher. He’s passed on now, he had a ranch in Escondido, California. I feel very incredibly blessed and honored to have studied with Dr. Jensen. In the Western world he’s considered the father of Iridology. Iridology complements all the health sciences as it furnishes information, not only about what health problem the client my have, but also the root cause of the disorder. Iridology is one of the best assessment tools available to discover which areas of the body are genetically strong and which are deficient. 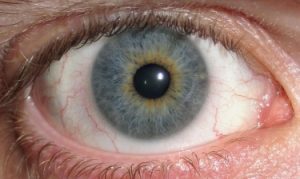 Genetic markings are shown in the iris that reflect at least four generations of health conditions in a families history. Predispositions may be determined so preventive measures may be taken to avoid an imbalance from occurring. I’ve been using Iridology in my holistic practice since 1982. Within a session, I’ll provide you with a nutritional profile, with several different modalities, including western herbs, flower essences, aromatherapy and vitamin supplements. Also in your assessment, it will be determined if there are emotional issues one may be harboring and which organ in the body is being effected. Then we’ll see if you are a candidate for a counseling session for emotional release work, aka: named Core-Release-Hypnotherapy™. Core-Release-Hypnotherapy™ is a gentle guided visualization process that uncovers core issues released through the subconscious, where deep healing takes place and peace and freedom are activated! Before I met Sunshine, I had never heard of Iridology. After my first session, I was completely blown away! Sunshine provided so much information on my health and emotional well being and I left feeling more informed and equipped to take care of myself that I ever have before. I highly recommend Iridology and Sunshine herself for anyone struggling with health or emotional issues that no one has been able to figure out, or if your are looking for a more naturopathic approach to your health in general. Thank you Sunshine!